We are a therapist-owned rehabilitation practice specializing in workplace, sports and orthopedic injuries and conditions. Let one of our experienced professionals give you individual, hands on treatment. Laura received her Doctorate in Physical Therapy from Regis University in Denver, CO and incorporates manual therapy and exercise for managing orthopedic conditions into her practice. She is interested in managing low back and neck pain, work-related injuries, obesity-related disorders, and sport-specific injuries. 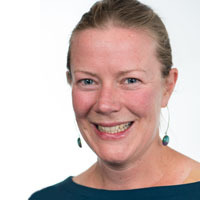 Laura also manages pelvic health conditions for people of all ages, including incontinence, frequency, pelvic floor muscle weakness, and pain. Laura's goal is to provide you with the tools you need to move freely throughout your day. Outside of the clinic, you'll find her exploring Southeast AK by land, sea, and snow. Justin was born and raised in Juneau, graduating from JDHS in 2001. 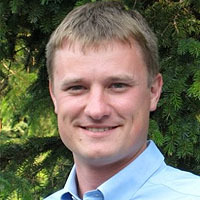 After earning his bachelor’s in Exercise Science from Gonzaga University, Justin went on to earn a Doctorate in Physical Therapy from Pacific University in Forest Grove, Oregon. Justin’s particular areas of medical interest are orthopedics and manual therapy. He joined the JPT team in 2009 and loves helping people recover and maintain their active lifestyles. Justin has always been active in a variety of sports, including cycling and soccer, and has recently started competing in triathlons. 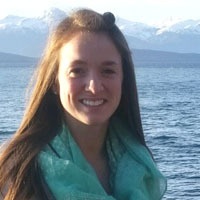 Stephanie attended the University of Puget Sound in Tacoma, W.A. She received a B.A. in Comparative Sociology in 1992 and a B.S. in Occupational Therapy in 1997. After a fascinating internship within a hand-therapy setting, Stephanie began to pursue this as a specialty. 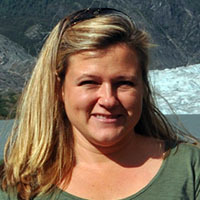 She became a Certified Hand Therapist in 2003 and was employed by Seattle Hand Rehabilitation Clinic for eight years before moving her family to Juneau in 2005. She is highly qualified to treat upper extremity conditions. Stephanie and her husband, Jason, are busy raising two young children. In her free time, Stephanie enjoys hockey, gardening and family adventures. Laura is originally from Seattle, Washington. She received her bachelor's degree in Kinesiology from Western Washington University in Bellingham, Washington. From there she graduated from Regis University in Denver, Colorado with a Doctorate in Physical Therapy. Laura is passionate about treating patients throughout all walks of life. She particularly enjoys utilizing a combination of manual therapy, neuromuscular facilitation and therapeutic exercise to help patients achieve their individual goals. In her free time, Laura loves to do anything outdoors. She particularly enjoys rock climbing, skiing, mountain biking, running, and spending time with friends and family. Abigail is originally from Carson City, Nevada; she received her bachelor’s degree in Health Science from the University of Nevada in Reno. From there she graduated from the University of the Pacific, Stockton, California, with a Doctorate in Physical Therapy. She has a special interest in aquatic therapy and pediatrics, and is also a certified Pilates instructor. She enjoys teaching others the value of health and fitness. Alaska is a wonderful place that compliments her loves of hiking, cooking, and spending time with her wonderful husband and sons. Taylor is originally from El Paso, Texas. She received her bachelor's degree in Exercise Sport Science from Texas Tech University in Lubbock, Texas. From there she went on to receive her Doctorate in Physical therapy from the University of St. Augustine in Austin, Texas. 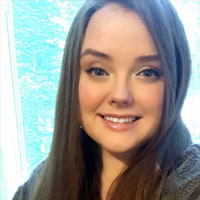 She moved to Juneau in early 2017 when she joined the JPT team. 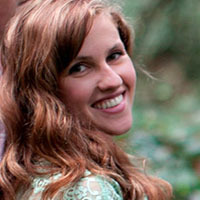 Taylor utilizes manual and therapeutic techniques to treat patients with various impairments, and enjoys helping people reclaim mobility and freedom of movement. She enjoys all the scenery and wildlife Alaska has to offer as well as hiking and photography. 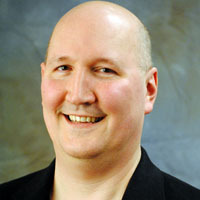 Patrick is a 1990 graduate from the University of Wisconsin-Madison with a BS in Physical Therapy and Psychology. He received his certification in manual therapy (CMPT) from the North American Institute of Orthopedic Manual Therapy in 1998. He earned his certification as an Orthopedic Clinical Specialist (OCS) from the Board of Physical Therapy in 2004 and recertified in 2015. Patrick excels in the treatment of challenging orthopedic cases. He has made custom foot orthotics since 1994. He has provided care at Juneau PT since 1995 and works on a full-time basis at our downtown office. In his free time, Patrick enjoys gardening as well as the artistic pursuits; painting, drawing, and sculpting. In the summer, you will frequently see Patrick riding his slightly-too-small-for-his-size bicycle. 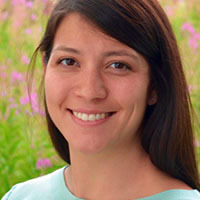 Nani was born and raised in Southeast Alaska. She spent 7 years in Oregon at Pacific University, where she received her bachelor's degree in Exercise Science - Integrative Physiology, in 2015, followed by her Doctorate in Physical Therapy in 2018, before returning to the land that she loves. Nani's areas of interest include pediatrics and orthopedics. In her free time, she enjoys hunting, fishing, and hiking with her husband.